Northeast Ohio gas prices dropped by four cents this week to $2.779 per gallon, according to AAA East Central’s Gas Price Report. Statewide, Ohio (-10 cents) takes the country’s second spot with the largest decrease in gasoline prices on the week. 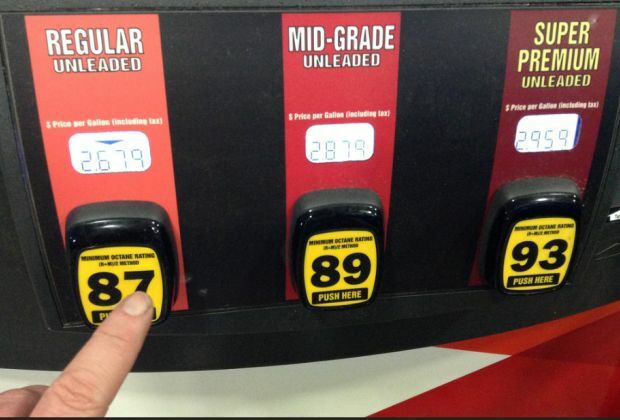 In the Great Lakes and Central states, prices range from $2.77 (Ohio) to $3.09 (Illinois). Following Energy Information Administration’s (EIA) previous report of a regional 1.7 million barrel draw, gasoline inventories built in the latest report by 67,000 on the week. At the 52 million barrel mark, total inventories are on par with levels the past two years at this time. EIA data shows that levels fluctuate between 48-55 million during the summer months. Dropping by two-cents on the week, the national gas price average is $2.95. This is the first time there has been a decrease in the national average since mid-March. The drop, albeit it small, follows the latest EIA report showing consistently strong demand although it is running slightly below (100,000 b/d less) the same week last year. Today’s national average is 13-cents more than one month ago and 57-cents more than the beginning of June 2017. On the week, most states saw decreases or steady prices, while those that saw prices jump were mostly West Coast and Rockies states. At the close of Friday’s formal trading session on the NYMEX, West Texas Intermediate dropped $1.23 to settle at $65.81. Crude prices fell at the end of the week after the dollar gained amid news of added number of jobs across the country. Earlier in the week, crude prices rose briefly after EIA’s weekly petroleum report showed that crude inventories fell by 3.6 million bbl. Last week, EIA also released final crude production rates for March 2018, revealing that it hit a record-breaking 10.47 million b/d. The rate increased by 223,000 b/d from February 2018. Continued growth in crude production may reduce crude prices as it signals that supply is growing alongside strong global crude demand. Baker Hughes, Inc. reported that the U.S. added two oil rigs last week, bringing the total to 861. The total is up by 128 rigs when compared to last year.